"The Government may not restrict speech that persuades adults, who are neither criminals nor suffer from mental illness, from purchasing a legal and constitutionally protected product, merely because it distrusts their personality trait and the decisions that personality trait may lead them to make later down the road," Nunley wrote. "Moreover, in the effort to restrict impulsive individuals from purchasing handguns, the Government has restricted speech to all adults, irrespective of whether they have this personality trait. Therefore, the Government impermissibly seeks to achieve its goals through the indirect means of restricting certain speech by certain speakers based on the fear that a certain subset of the population with a particular personality trait could potentially make what the Government contends is a bad decision." 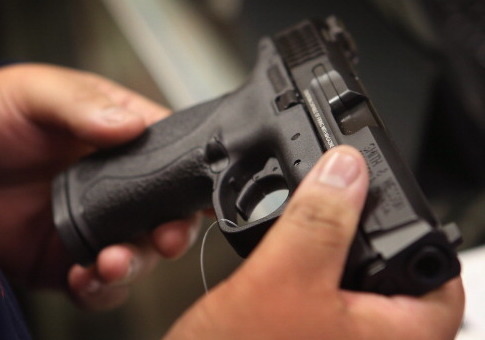 The Calguns Foundation said gun dealers have a right to advertise their legal products. "Today, the court correctly ruled that the First Amendment protects truthful, non-misleading speech about handguns protected under the Second Amendment," Brandon Combs, executive director of the group, said in a statement. "People have a fundamental, individual right to buy handguns, and licensed dealers have a right to tell people where they can lawfully acquire those handguns. Today’s ruling means that the government cannot prevent people, or gun dealers, from talking about constitutionally protected instruments and conduct." The Second Amendment Foundation said the ruling ensures the constitutional rights of gun dealers are protected. "This decision will serve as a reminder that firearms dealers have First Amendment rights as well as Second Amendment rights, even in California," Alan M. Gottlieb, the group’s founder, said. "The bottom line is that a state cannot legislate political correctness at the expense of a fundamental, constitutionally enumerated right. We are delighted to offer financial support of this case." This entry was posted in Issues and tagged California, Guns. Bookmark the permalink.